Dust-Off Special Application Duster, 10 oz Cans, 2/Pack - Nonflammable compressed gas air duster is specially developed for use in environments where flammability is a concern. Suitable for scientific labs, workstations, repair benches, and household use. Duster provides the same moisture-free cleaning power as standard Dust-Off products but without the risk of flammability. The extra-large size delivers more dust-removing power at a lower cost. 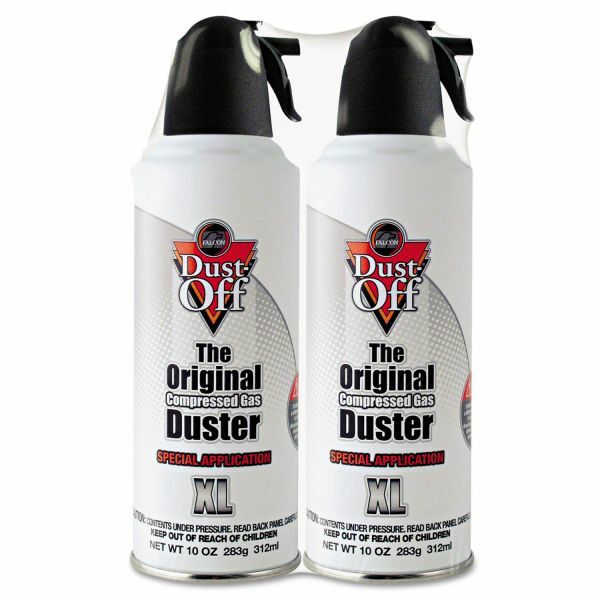 100 percent ozone-safe duster contains no CFDs, HCFCs, propane or butane.